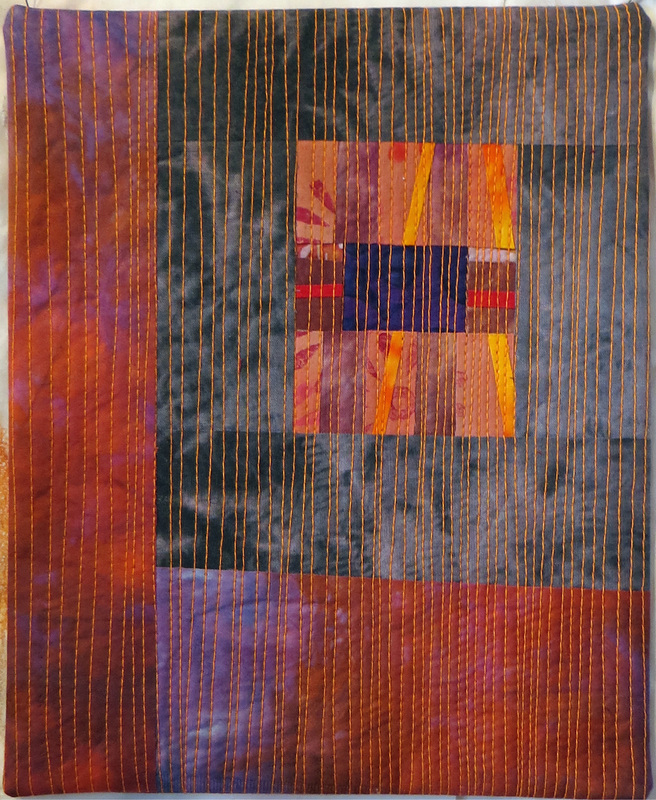 The challenge for this year is to make journal quilts measuring 8" x 10" in a portrait format with the additional requirement of specific colours - purple, green and orange - to be included in a piece no smaller than a square 1/2". 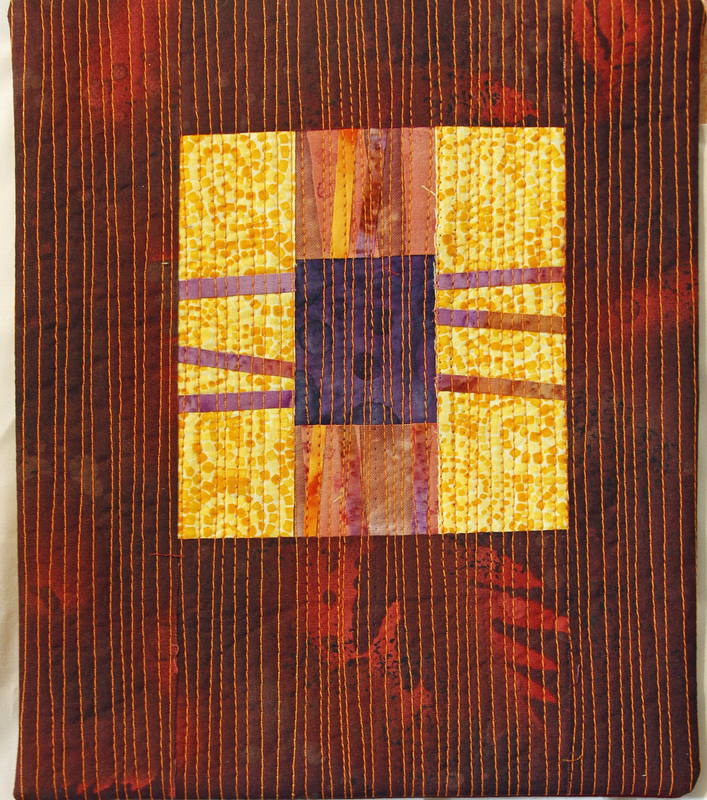 My first set has been made using a very dark purple, which is not easy to see on a screen. 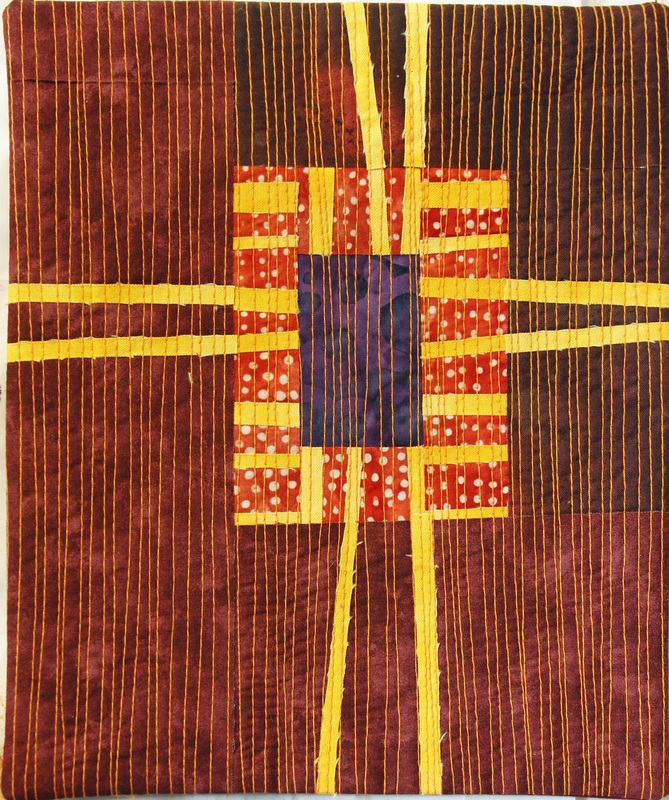 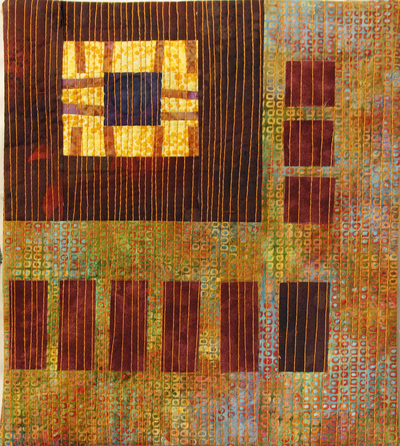 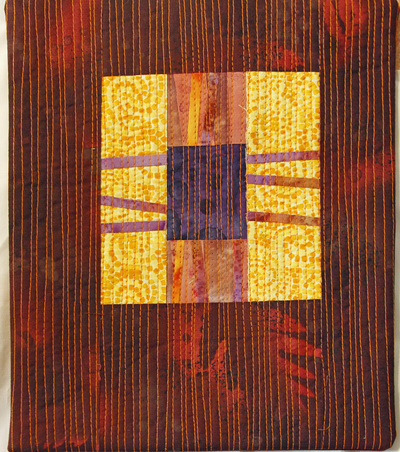 I fused all the pieces and machine quilted in vertical lines, one of my favourite ways of machine quilting. 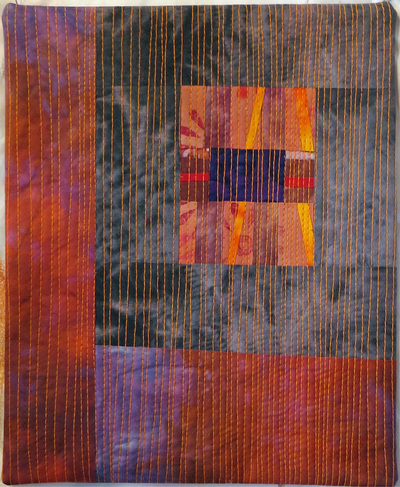 All the fabrics have been in my stash for years so there is a satisfaction in using them up, not that one could tell the difference in my studio!